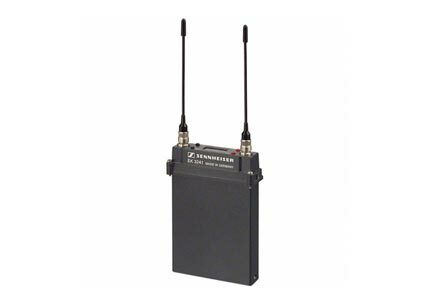 The EK 3241 has a switching bandwidth of 36 MHz and frequencies that can be tuned in steps of 5 kHz, making the true-diversity receiver the perfect partner for Sennheiser's current transmitter models SKM 5200-II and SK 5212-II. Frequency-agile products are in greater demand than ever as frequency resources become increasingly scarce. We have therefore developed a new tuner module for this true-diversity camera receiver and given the lightweight EK 3241 (200 g) the capacity for reliable, flexible RF wireless transmission: 32 custom frequencies have already been programmed within the switching bandwidth of 36 MHz; in addition the user is free to program and store another 20 frequencies in steps of 5 kHz into the user bank. 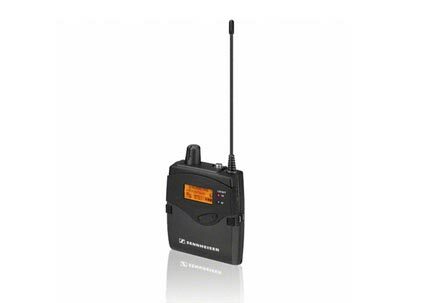 The receiver can be easily and intuitively operated with a completely new user interface, which is similar to that of the SK 5212 bodypack transmitter. 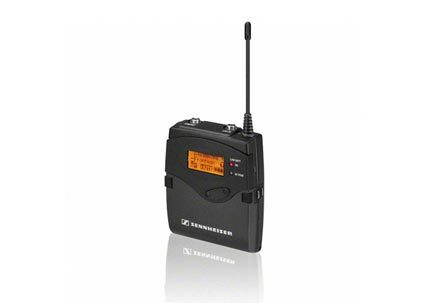 For a high operational reliability the EK 3241 displays the battery status of the transmitter in detail. 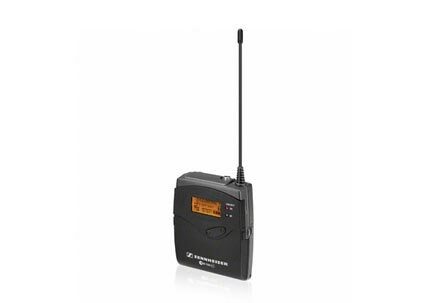 The receiver is extremely reliable; its full-metal case is weatherproof and robust. 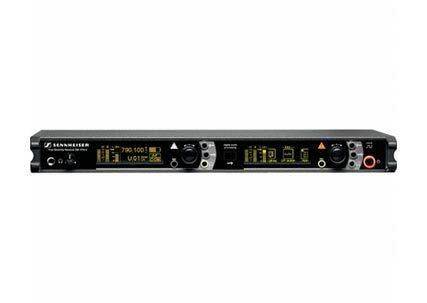 True-diversity receiver in a very compact all-metal housing. Frequencies tunable in steps of 5 kHz. New menu for user-friendly operation. Special protection against the ingress of moisture. Power supply via camcorder or GA 3041-B battery adapter. High operational reliability due to true diversity reception. Detailed indication of the transmitter's battery status. Command function can be activated in service. Operating time of 9 to 18 hrs (BA 50 / B 250).